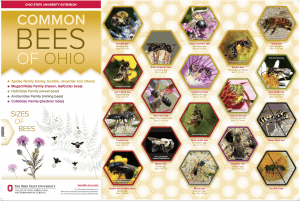 OSU Pollinator Summit: Our Threatened Bees — Register Now! 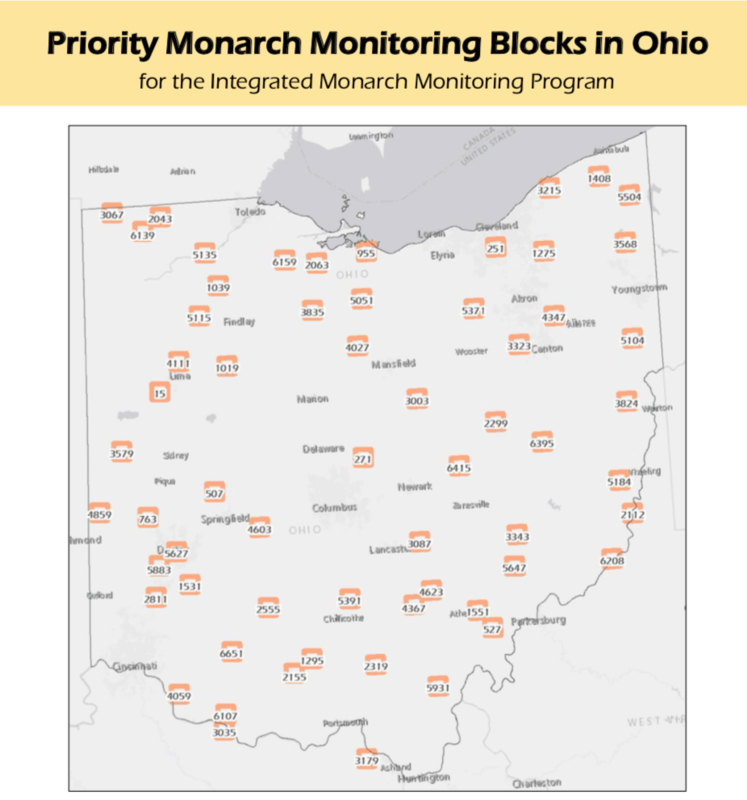 The Integrated Monarch Monitoring Program (IMMP) monitors monarchs and evaluates their habitats to inform monarch conservation efforts. The IMMP uses a random sampling design to select monitoring sites in an unbiased way. You may choose to adopt a random IMMP site or select your own 1+ acre site. 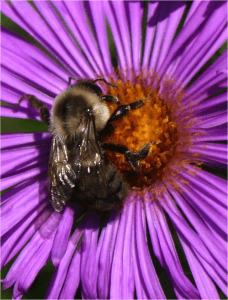 We are now accepting applications for the 2019 Volunteer Pollinator Specialization program. 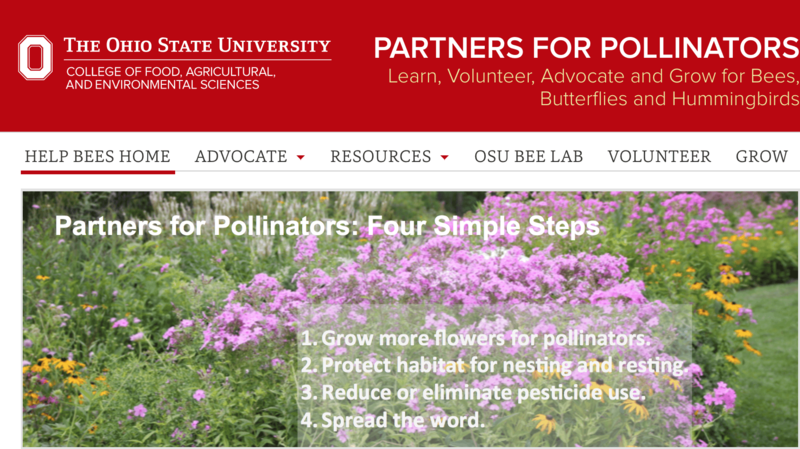 Ohio Pollinator Advocates, OSU Master Gardeners, Ohio Certified Volunteer Naturalists, Chadwick Arboretum volunteers, urban farmers and others are invited to apply. Participants will take part in at least 30 hours of educational training through monthly specialization programs. Our emphasis will be on native bee and bumble bee biology and identification. The orientation on 2/11 and 2/12 is required; all other sessions flexible. To certify, participants will complete 30 educational hours and 20 volunteer hours by September 2020. Volunteer hours can be obtained through pollinator-related projects, gardens or outreach in your community. This program is co-sponsored by the OSU Bee Lab in the Department of Entomology and Chadwick Arboretum and Learning Gardens. Register here; registration deadline is December 15th, 2018. This program is sure to fill quickly, so don’t delay if you’re interested in participating! Applicants will be contacted by December 21st about admission to the program. $250 includes all sessions, supplies and handouts. Payment is not due until January (participants will be contacted with details). Milkweed seedlings and funding for monarch restoration projects in 2019! Hello! Amber Barnes from Pollinator Partnership has passed on this information about milkweed seedlings for 2019 projects. Please read on for details about purchasing milkweed plants as well as grant opportunities for resptoration projects. As you may know, the monarch butterfly is in decline and they need milkweeds and other nectar sources to be planted across the landscape to support their fantastic tri-national migration. One of the key frustrations many gardeners, conservationists, and land managers face in their conservation efforts is the inability to find locally appropriate milkweed plants to provide this much-needed habitat. 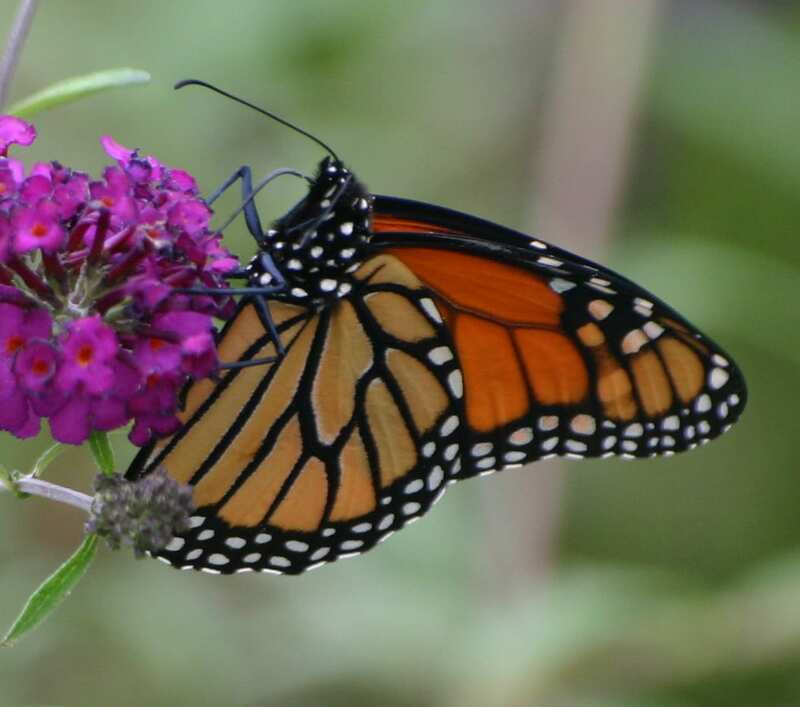 In response, Monarch Watch has created the Milkweed Market to assist those who are looking for regionally appropriate milkweeds to incorporate into their garden, restoration, landscaping, or to sell in their garden center. The Milkweed Market provides the opportunity to get low cost or free (for non-profits and schools) milkweed seedlings for your projects. You simply need to order ahead of time, to make sure they can meet the upcoming year’s demand. Please help get the word out about these three ways to get milkweed plants, and put your order in now. 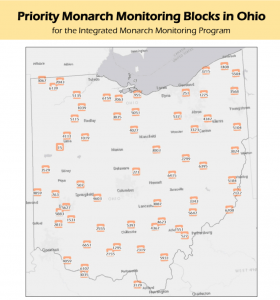 Ohio Pollinator Advocate…please share what you’ve done! Hello! 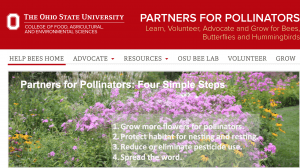 You are receiving this message because you’ve completed the Ohio Pollinator Advocate or Volunteer Pollinator Specialization training offered by the OSU Department of Entomology. Please help us to compile our 2018 program impacts by filling out this brief form. This should only take 5 to 10 minutes. You can also access the form below. Contact Denise Ellsworth with any questions. Thank you! Location: Keeler Theater at Cincinnati Country Day School (6905 Given Rd, Cincinnati, OH 45243). Click Here for directions and campus map. Contact with coconnor@cincynature.org with location questions. 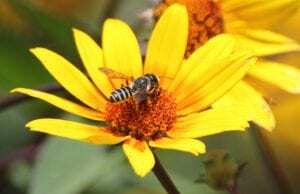 Native bees, essential for healthy ecosystems, are usually gentle, solitary, and under-appreciated by homeowners. Dr. Olivia Messinger Carril, co-author of The Bees in Your Backyard, will reveal the charming mysteries of these busy little creatures which provide a critical service as pollinators for so many edible and ornamental plants. 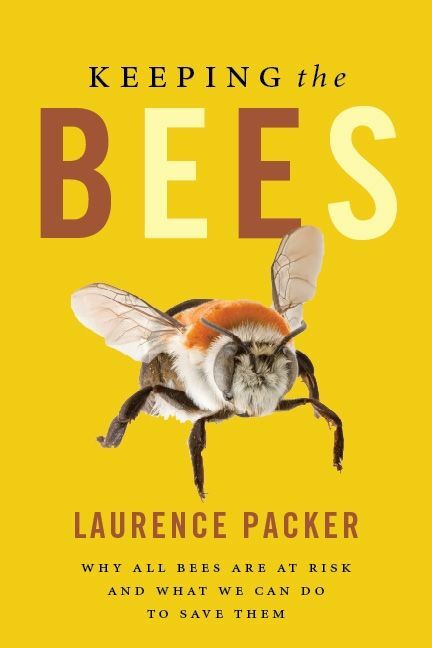 Join us at John Whitman Keeler Theater at Cincinnati Country Day as Dr. Carril introduces buzzworthy facts about the bees in your backyard and beyond.